The mission of the Office of Professional Responsibility (OPR) is to promote, maintain and enforce legal and ethical conduct by US Attorneys. OPR trains US Attorneys in proper conduct, and investigates specific complaints of misconduct, such as withholding evidence, improper jury instructions and unauthorized media releases. When OPR finds that a US Attorney’s actions did not conform to legal and/or professional standards, as in 25 of 88 investigations completed in 2005 (PDF), it recommends disciplinary action to the Deputy Attorney General. Recently, OPR has been assigned to investigate broader issues, such as the improper use of political criteria in Department of Justice hiring and firing decisions, US Attorney opinions justifying electronic surveillance without warrants, and the use of torture in the War on Terror. OPR was created in 1975, to maintain standards of ethical and legal conduct inside the Justice Department. Its creation was a response to the criticisms of political influence in the Justice Department during the Watergate Scandal. OPR had one Chief Council, Mike Shaheen, from its inception until 1997, when the current Chief Council was appointed. 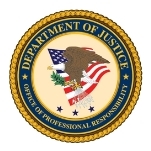 The OPR is authorized to investigate allegations of professional misconduct by any of the Department of Justice’s 10,000 attorneys relating to the attorneys’ actions in investigation, litigation, or giving legal advice. The OPR receives several hundred complaints about US Attorneys per year, from judges, defense attorneys, other Department attorneys and others. About 2/3 of these complaints are determined not to warrant further investigation because the complaints are vague and unsupported by evidence or because they are outside OPR’s jurisdiction. About 2/3 of the remaining 250 or so complaints are handled as inquiries, to be resolved by review of written records, including case transcripts and the accused attorney’s written response to the complaint. The remaining third, including some 15% of inquiries that do not resolve the complaint, become full investigations. In these cases, OPR attorneys will interview judges, attorneys, witnesses and other relevant parties, as well as review case records. If the OPR finds that misconduct has occurred, recommendations for discipline of individual attorneys follow, recommendations which Department management has discretion whether to implement. The OPR has also referred cases of intentional misconduct to state bar associations. OPR also engages in the training of US Attorneys in proper conduct, and in presentations about ethical/legal issues to legal associations, such as the National Bar Council. OPR participates in education and training internationally, in 2005 making presentations about prosecutorial ethics in Albania, the Republic of Georgia and Afghanistan. Can the Department of Justice Investigate Itself? Under the current administration, OPR has been assigned to investigate and report on two huge controversies centering on the Department of Justice: legal opinions justifying the use of electronic surveillance and “enhanced interrogation” by NSA, CIA and others in the War on Terror, and the undue use of political criteria in Department personnel and prosecution decisions. As with any investigation by an internal office of a federal bureaucracy, there is suspicion that the investigators and the officials reviewing their findings might support their Department staff, especially when Department actions face external criticism. The resulting report then is suspiciously viewed as a defense excusing the actions. The specific circumstances heightened such suspicions, since the OPR reports to the Attorney General, in this case Alberto Gonzales, who was himself viewed by some as a co-conspirator. Insofar as OPR has begun to issue reports under the new Attorney General, Michael Mukasey, there is no evidence that the OPR investigations and reports are anything but honest and factual, as discussed below. The OPR was assigned to work with the Department of Justice’s Office of the Inspector General to investigate and report on allegations that the Department made many decisions on personnel and on which prosecutions to pursue based on a partisan political agenda. The most media-publicized aspect of this controversy was the firing of 19 U.S. Attorneys following the 2004 election. Recently, the OPR issued one report on a less publicized area of the controversy, the hiring of new attorneys through the Honors Program and of Summer Legal Interns (see Washington Post article, full report (PDF)). OPR found, for instance, that qualified candidates for new and intern positions had been rejected because of membership in liberal, pro-choice or environmental organizations, and identified two officials as having made dozens of improper hiring decisions. Unfortunately, these two persons had already moved on to work for private Washington law firms and were therefore immune to Department disciplinary action. The OPR’s assignment to investigate and report on legal opinions by US Attorneys justifying electronic surveillance without warrants hit an initial roadblock. OPR attorneys could not receive Security Clearances from the National Security Administration (NSA) to review relevant documents and conduct interviews. 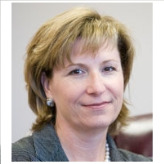 So in May 2006, the OPR’s chief counsel, H Marshall Jarrett, announced that the investigation had to be suspended. Then, in November of 2007, just after the Senate had confirmed the appointment of Michael Mukasey as Attorney General, Jarrett announced that the OPR attorneys had received NSA Security Clearances and the investigation would be reopened. In February 2008, Jarrett informed Congress that OPR was also reviewing US Attorney approval of waterboarding by the CIA and other related legal memorandums. To date, no reports have been issued, nor is there any promise as to when such reports might be released. Mike Shaheen was Chief Council from the creation of OPR to 1997 (22 years). He was succeeded by his Deputy as Acting Counsel for five months, and then by H. Marshall Jarrett. PLEASE HELP ME! No. 1:16-cv-01321-SCY-LF They are corrupted! My lawyer sabotaged my case! Not sure if Judge is involved, yet I believe he is! THEY DO THAT TO SO MANY PEOPLE! PLEASE HELP ME AND PLEASE INVESTIGATE ALLPREVIOUS CASES THEY WORKED ON! THOSE PEOPLE DIDN'T RECEIVED JUSTICE! Thank you, Michaela.